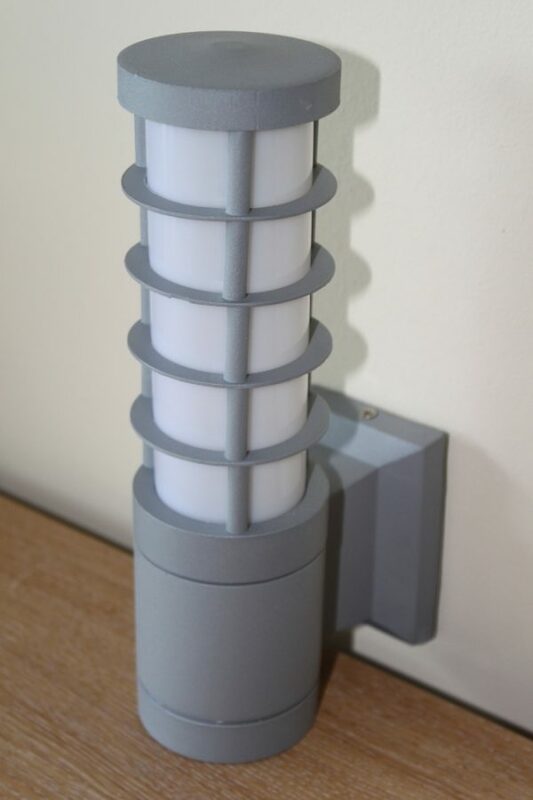 Quality aluminium wall light, powder coated in a light grey finish to stop corrosion. 240mm tall and 64mm in diameter. Supplied with wall fixings. Take normal or low voltage bulbs with ES fitting. White light diffuser to give a soft white light. Complete with wiring junction box, should be wired by a competent person. Suitable for indoor or outdoor use, IP44 approved.